I thought she was just being affectionate … turns out she had a stomach bug. The only good thing about babies being sick is the sweet cuddles. 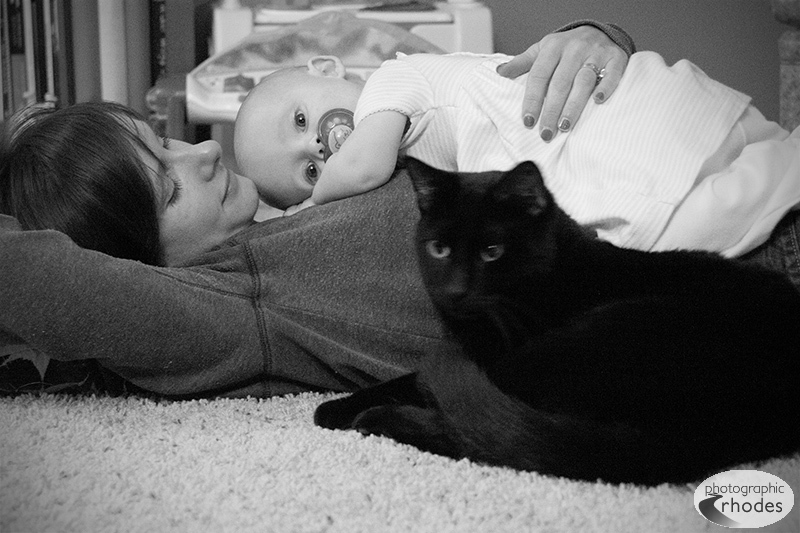 As an added bonus, our cat Emmett joined in the snuggles.